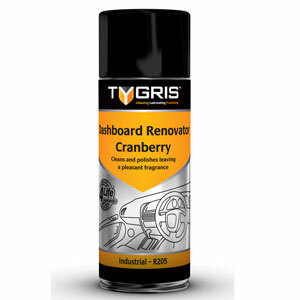 Tygris Dashboard Renovator is a light duty, pleasantly fragranced cleaner and polish for internal plastics and trim in automotive applications. It cleans and shines dashboards, fascias and other interior panels, restoring to original appearance without the need for manual buffing. It is fast acting with nearly instantaneous evaporation.